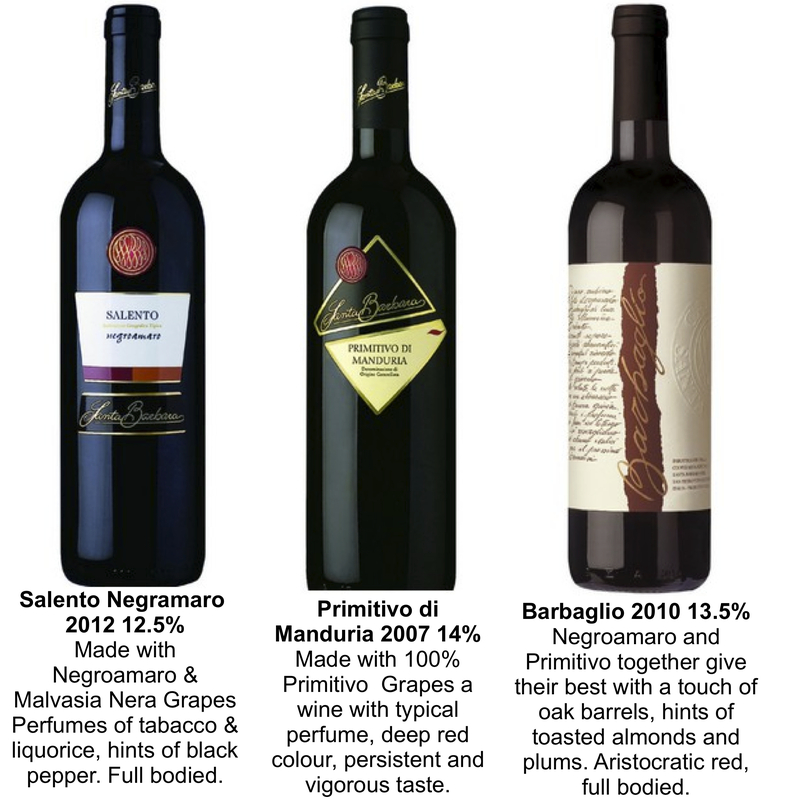 Red wine in particular from Puglia is becoming increasingly well known with Negroamaro & Primitivo grapes being the main variety. We have known the Giorgiani Family for years. They have run Cantine Santa Barbara for generations, where they produce a selection of wonderful red Puglian wines.